A city that has endured some trials and tribulations over its history, Detroit, Motown, Motor City, or whatever term you think most fitting to describe this metropolis, has come full circle and is back on the upswing offering up an experience to visitors that meshes culture, art, luxurious innovation and entertainment that all connects back to its complex and awe-inspiring roots. Whereas in years gone by, the downtown core presented itself as a vacant ghost town made up of towering architectural beauties left vacant from the effects of a floundering economy, today the streets have been reinvigorated and such gems are being revitalized and refurbished as luxury hotels, eating locales and choice retail businesses. 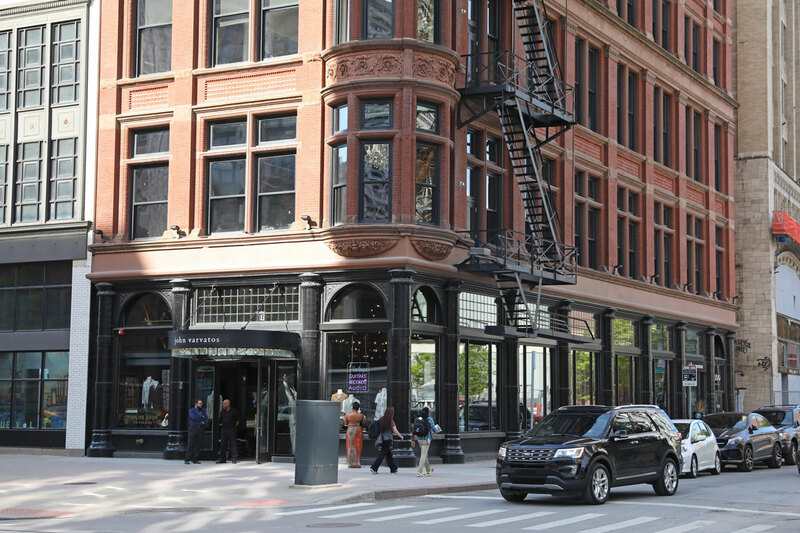 The old melds with the revitalized and makes Detroit the perfect destination for discovery and enjoyment. A walk down Woodward Avenue is made an architectural outing due to the intricately- designed structures that line its sidewalks. 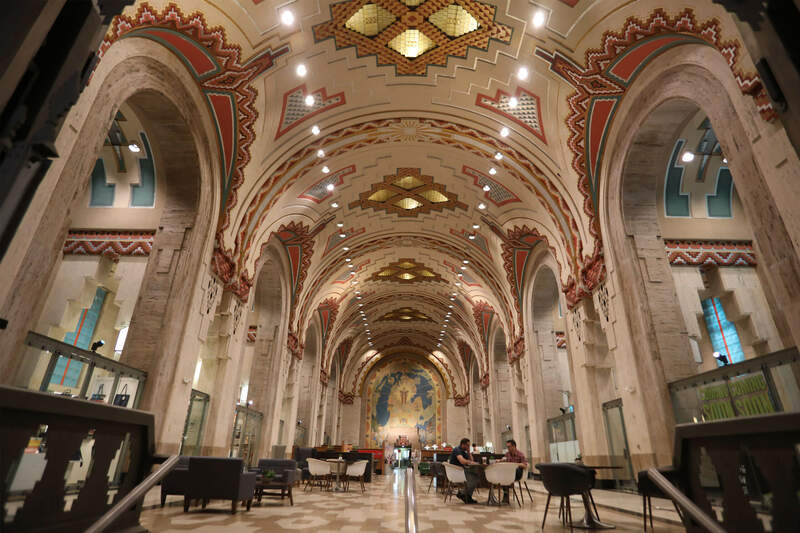 Refurbished iconic structures such as the Guardian Building, built in 1929, among many others of varying architectural styles, bring a unique appeal to Detroit’s core. Luxury hotels are now abundant for visitors to make their home base on a trip to this culturally-infused city. 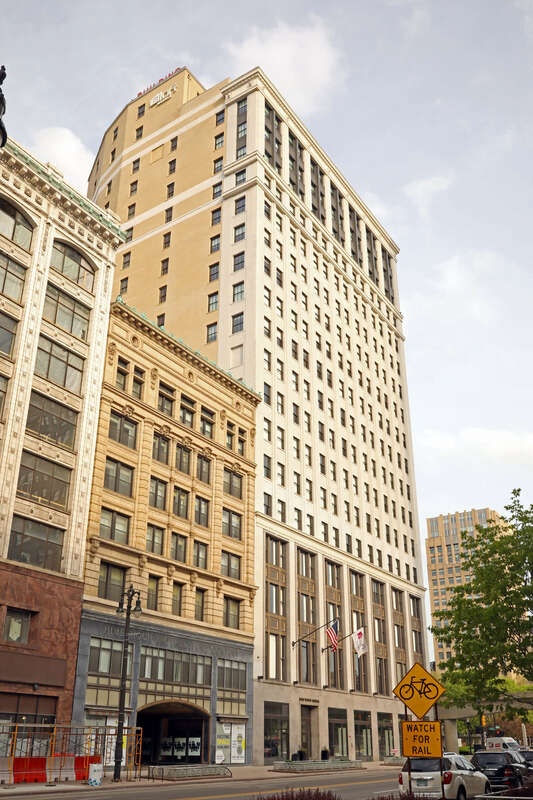 Many prominent hotels have breathed new life into historic office buildings without taking away from their original features. 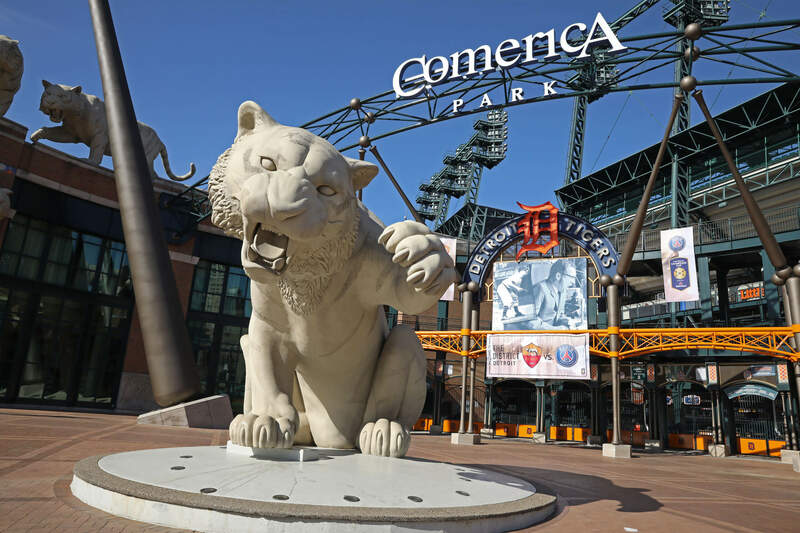 Aloft Hotel Detroit at The David Whitney is the perfect example of a choice luxury accommodation within the downtown core of Detroit whicha is situated alongside numerous fabulous restaurants and across from the city’s two major sports stadiums-Comerica Park and Ford Stadium. This 5-star hotel is remarkable for the modern amenities and features which complement the original charm of the stately building. The grand lobby is encased in marble and stunning stonework, with stately columns running the height of a three-story building. A conservatory-style ceiling allows the light to stream in highlighting every detail of the expansive space. Rooms have been developed from the original offices that make up each floor of the hotel. Large and modernly decorated with plush bedding and stunning accents, you’ll easily luxuriate in the comfort and retreat-like experience offered up. Windows stretch to an impressive height which allow for remarkable views and bright surroundings. Mere steps from the doors of these accommodations are wonderful restaurants serving delectable cuisine that will only impress. Wright & Company has mention-worthy chic ambiance and is any foodie’s slice of heaven due to the delicious eats. Set in yet another historic landmark, diners enjoy prompt and friendly service under chandeliered lighting served appealing plated food involving an original concept that offers seasonal dishes in small sharable servings. The sharable servings allow for a more social and intimate experience and gives visitors the option of tasting an array of dishes. Craft cocktails complement your experience and the ever-changing drinks menu will make each visit an exciting new adventure for the palate. From their Crisp Gulf Shrimp in sweet chili Thai sauce, to their Parisian Gnocchi, there is something to please every taste on the Wright & Company extensive and constantly changing menu. The city of Detroit is not only a destination that serves up art in form of food, but is also a hotbed of cultural influence and easily lures visitors in to appreciating the Motown vibes that entrance at various events, restaurants and retail spaces. The home to legends such as Smokey Robinson, Mary Wells and Stevie Wonder, Detroit is rich in musical history where some of today’s most popular sounds on the airwaves originated. Go back in time to discover more about the beginnings of Motown by heading to the Motown Museum, which was established in 1985 and is one of the most visited tourist destinations in Detroit for good reason. Visitors are also encouraged to stop into Third Man Records, which is an independent record label that was founded by Jack White back in 2001. Various entertainment venues in Motor City capitalize on the musical roots laid down so many decades ago. Performances by some of the most respected musicians in Detroit are what you’ll witness when you visit Baker’s Lounge- the world’s oldest jazz bar. Order a plate of fried catfish and a signature cocktail while taking in the melodies and ambiance. Detroit is a melting pot for innovators and creatives. Art in various forms can be found across the cityscape and on into the surrounding neighbourhoods. The Heidleberg Project , for instance, makes use of the abandoned portions of the outer city limits and turns dilapidated homes and structures into messages of hope by way of intentional graffiti, sculpture and many other forms of art. Additionally, abandoned factories located in inner-city Detroit have now been converted into prominent headquarters for notable brands. The Shinola factory is one such brand that has enlivened the previously abandoned streets of the industrial sector of the city. Shinola was founded in 2011 within Detroit and focuses on manufacturing luxury goods such as watches, bags, wallets, turntables and bicycles in a quality process that results in impeccable craftsmanship and an appeal that is unique and unmatched. 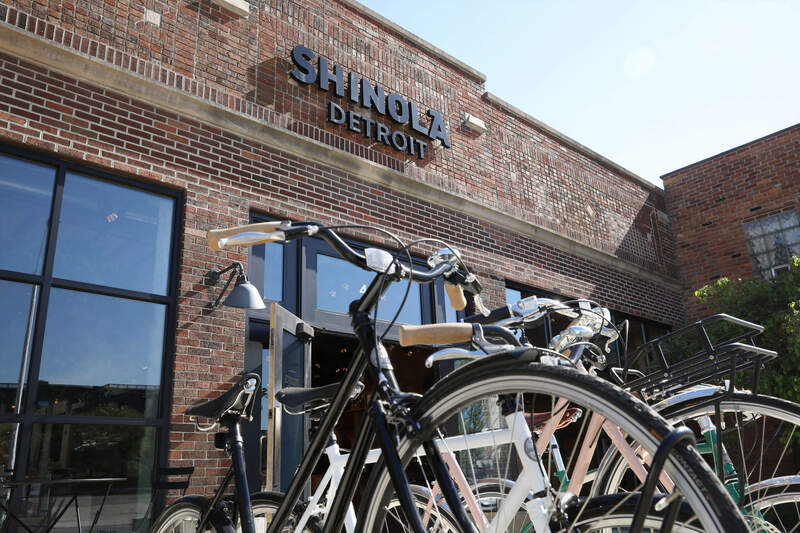 Since its beginnings, Shinola has expanded to open retail locations across North America. Visit the Shinola factory for a guided tour during which you’ll be immersed in the creativity, skill and craftsmanship involved in the manufacturing of every piece. Nearby is the Detroit Jean Company, which manufactures top quality jeans, using only the most premium denim for each pair. Established in 2010, each handmade pair of selvedge jeans has been assembled with utmost attention and intention. Founder Eric Yelsma also ensures to source all denim from within the United States. Stop by for a pair of your own and see where, and how, the magic happens. Not only magic but innovation is what brought about Henry Ford’s success globally, and a visit to Motor City is not fully complete unless homage is paid to the king of the motor car. This Detroit native has left his legacy, not only within the metropolis, but also across North America, due to his innovative spirit that led to inventions galore. Discover the full reach of Ford’s influence by venturing out to The Henry Ford Museum, where his full historical relevance is made fantastically known in addition to facts about some of the most brilliant minds of North American from years gone by. Henry Ford’s presence is still felt within the innovation that is evident in today’s Ford vehicles. The most recent version of the 2017 Ford GT, which has been described as the “next generation of the supercar” and the “ultimate expression of form following function,” is designed for speed and performance. The sleek exterior and smooth lines present the “very definition of aerodynamics,” as is purported by the motor company. Calling one of these luxury vehicles your very own is, however, not the easiest of tasks. The price tag is half a million dollars and there currently are roughly only 150 on the road today, with owner’s such as Jay Leno and Brad Pitt at the helms of these exclusive machines. From sleek luxury vehicles, goods and accommodation to praiseworthy cuisine, entertainment and artistic influence, the Detroit of today proves why it is a destination that inspires creatives and leaves visitors fascinated by the moves that have been made to revitalize a once sleepy, down-and-nearly-out city. Plan your own travels today and experience all that Motown has to offer.